Enerconcept Technologies Inc., Magog, Quebec, Canada, a global leader in solar hot air technology, was presented the AHR Expo Innovation Award for its Lubi™ wall-mounted solar hot air collector at the 2012 International Air-Conditioning, Heating & Refrigerating Exposition (AHR Expo® 2012) which took place in Chicago in January 2012. Left to right: Ajita Rajendra, chairman, AHRI, Washington, D.C.; Christian Vachon, president, Enerconcept Technologies, Magog, Quebec; and Ron Jarnagin, president, ASHRAE, Atlanta, Ga.
Enerconcept’s Lubi™, the world’s most efficient solar device that’s used for heating outdoor air, wins the HVACR Heating Category. Magog, January 31st 2012. Enerconcept Technologies Inc., Magog, Quebec, Canada, a global leader in solar hot air technology, was presented the AHR Expo Innovation Award for its Lubi™ wall-mounted solar hot air collector at the 2012 International Air-Conditioning, Heating & Refrigerating Exposition (AHR Expo® 2012) which took place in Chicago in January 2012. Competing against nearly 200 international entries of state-of-the-art HVACR equipment, the Lubi won the best Heating Category product of the year and is the first solar product to ever win an AHR Innovation Award in the 10-year event. The competition is co-sponsored by the American Society of Heating, Refrigerating and Air-Conditioning Engineers (ASHRAE); the Air-Conditioning Heating and Refrigeration Institute (AHRI); and the International Exposition Company (IEC). The Lubi is the world’s most efficient solar hot air device according to tests ran by the Canadian Standards Association (CSA-International). The CSA lists the Lubi as up to 81-percent efficient with a 1.20 performance factor, which is 20 to 58-percent greater than any competing products. The Lubi, which has glazing panels and aluminum framing that appear aesthetically as a wall of windows, is designed to preheat the outdoor air of commercial, industrial or institutional buildings for free and supplement the existing HVAC system while supplanting a significant portion of the facility’s carbon-based energy use. The Lubi is also used to preheat combustion air, process heating or drying processes in industrial applications. The Lubi’s renowned efficiency is derived from its perforated glazing design that minimizes heat loss and delivers paybacks ranging from zero for new construction to five years for retrofits. “The Lubi has no moving parts, requires no maintenance, doesn’t freeze or overheat and is easily integrated architecturally and aesthetically into a building’s existing HVAC system by an HVAC contractor,” said Christian Vachon, P.Eng., M.Sc., president of Enerconcept Technologies, and inventor of the Lubi. The Lubi is already in application for clients such as aircraft manufacturer Bombardier (Montreal); cosmetics manufacturer L’Oreal (Montreal); pharmaceutical manufacturer, GlaxoSmithKline (Laval), Quebec, etc. and Sanborn Regional High School, Kingston, N.H. The Sanborn project, which is the world’s first use of a solar hot air system in a power purchase agreement (PPA), is saving $17,000, 48-tons of CO2 emissions, and displacing 13,400 gallons of fuel oil annually with no capital investment by its school district. Enerconcept Technologies, Magog, Quebec, is a 13-year-old solar air heating equipment manufacturer that markets its products throughout North America, Europe and Asia. Enerconcept is the developer of the Lubi™, a wall-mounted solar air heater that provides heating to commercial, industrial and institutional buildings. The Lubi™, which uses a perforated glazing technology, is the world’s most efficient solar air heater, according to certification tests by the Canadian Standards Association. Enerconcept also manufactures an economical metal wall-mounted solar air heater, rooftop solar air heaters and other fine alternative energy products. For more information on the Lubi collector or other Enerconcept Technologies’products, please visit enerconcept.com, email: info@enerconcept.com or call (866) 829-1690. As the largest and most comprehensive HVACR exposition, the AHR Expo attracts tens of thousands of attendees from all facets of the industry including contractors, engineers, dealers, distributors, wholesalers, OEMs, architects, builders, industrial plant operators, facility owner and managers, agents and reps. In addition, more than 100 education sessions and workshops addressing all facets of the HVACR industry are offered by leading industry associations and organizations during the three days of the Show. 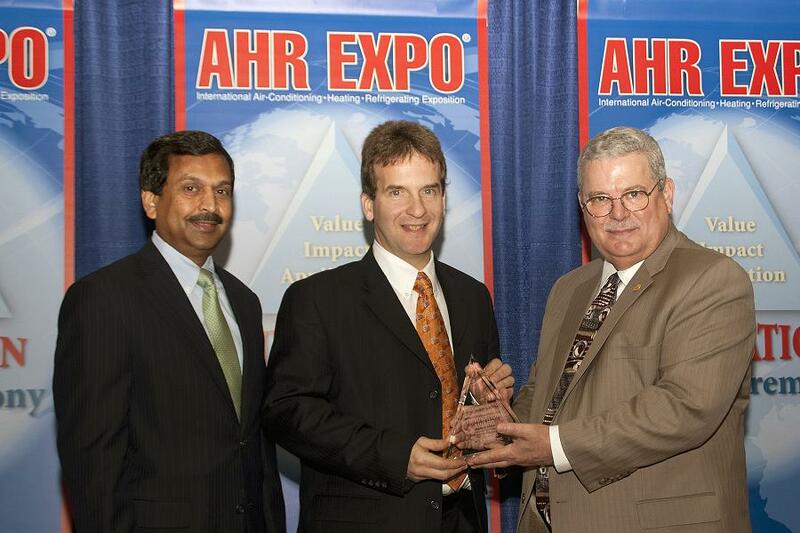 Since 1930, the AHR Expo has been the HVACR professional’s best resource for new products, new ideas and new services. It’s a hands-on, interactive event that showcases a wide spectrum of equipment, systems, and components. This unique industry forum creates a dynamic marketing environment unequaled in size and scope by any other industry event. The AHR Expo is produced and managed by International Exposition Co., telephone: 203-221-9232; email: info@ahrexpo.com; website: www.ahrexpo.com.